It’s been an exciting year for the workplace industry. Companies are getting more expressive and designing their workplaces to better align with their company values, mission and culture. They understand that their employees are their greatest assets and as a result, are designing their offices to enhance the workplace experience. Since employees are an organization’s biggest asset, it makes sense to design for them. 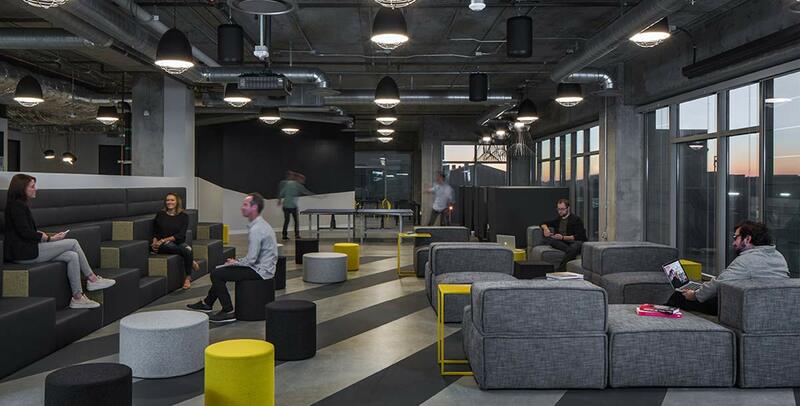 Big and small, companies rolled out designs that put employee’s health and wellbeing first. For large-scale projects, think Amazon’s new biophilic designed headquarters and on a smaller scale, Electro Rent, who led their office project with ergonomic solutions. Over the years, we’ve seen a shift from cubicle farms to open office floor plans. And while companies are still perfecting the office floor plan formula, the shift to a balanced office took center stage in 2018. We saw brands incorporate the best of both concepts — offsetting individual workstations with community spaces and social areas. Lounge seating replaced design systems, offering employees a variety of working options to best suit their needs. What better way to execute a “soft seating” vignette than by taking cues from the residential design industry. Resimercial, the concept of bringing home-like furnishings to the commercial workplace, was a big trend this year. Big contract furniture companies have been driving this movement with Haworth acquiring Poltrana Frau (2014) and JANUS et Cie (2016) and Steelcase partnering with with Mitchell Gold (2017) and WestElm (2018). But “resimerical” seemed to be the the word on the seat (pun) this year. 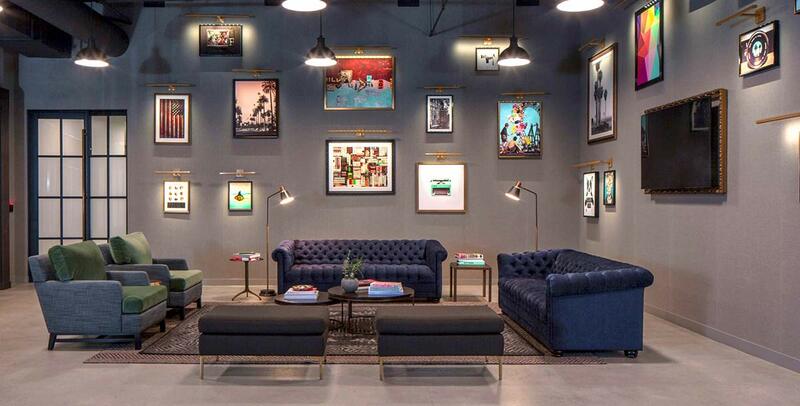 We saw soft goods inundate NeoCon, take center stage with our own projects such as Endemol Shine and even spurred us to launch our own furniture and manufacturing division, Platform. These three trends are the underlying strategy in commercial workplace design. To learn how we can fold in these three strategies into your next project, contact us.